Certain media channels seem to love instilling fear right now with all things out of our control… pending economic recession, colonization of the internet by tech giants, apocalypse. But one thing we still control as business owners – our email channels. Many of the things we rely on in online business are highly unpredictable, it’s true…Facebook might embroil itself in another scandal. Google will surely institute another algorithm change. President Trump might impose a new round of tariffs, or someone might highjack your brand’s Instagram account and stage a public meltdown. But through it all, your email will still belong to you. Multiple streams of income raise the value of a business. It’s a fact. Meanwhile, the one stream of income that tends to be the easiest to neglect as a business owner is also one of the most valuable – email. Businesses surveyed in 2017 attributed on average 23% of sales to email, a number too big to ignore. As a result, email marketing can be a huge opportunity for growth for many businesses. If you’re DIYing it with email right now, you may be sitting on some untapped potential revenue. If you’re a buyer looking at a business who’s been neglecting this channel, you may be in luck. It’s one of the best ways to create value after an acquisition. 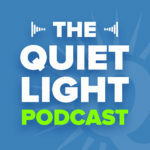 This week the Quiet Light Podcast featured Ken Mahar of emailbroadcast.com. Ken has a background in sales, where early on he discovered the power of email marketing first hand. He and his team at Email Broadcast have offered full service email marketing to brands for the past 18 years. In this post, I’ll dive into the most common mistakes he sees business owners make with email. Correct these mistakes, and you could tap into a valuable channel and see a major return on investment. Most of the time, our inboxes are clogged with emails from brands eager to tell us all about themselves. They have a sale coming up. They have new products, and news to share, and exciting things happening on the daily. Ken says one of the top mistakes he sees businesses making with email campaigns is just that kind of vanity. In order for your emails to be opened, actually read, and shared, he points out, they need to appeal to the recipients’ number one interest – themselves! As we’ve heard others on the podcast mention, a great rule of thumb is to treat your customers’ inboxes as you’d like yours to be treated. And that also means sending mostly emails that have actual value (beyond a 20%-off coupon for your product) to your readers. From a blast sent out to the general population to a one-on-one message sent to a specific individual who will actually read it. The number of people using email is still growing, and expected to reach 2.9 billion in 2019. In 2017, email was shown to be 40x better at new customer acquisition than Facebook and Twitter combined. 72% of consumers report that they prefer email over any other means of communication from the brands they buy from. Email as a valuable sales channel for business hasn’t gone anywhere. The second big mistake Ken points out also relates to the overall perspective business owners take towards their email campaigns. Do you think of email as strictly a promotional tool? If so, you’re missing something. Treating your email as just another place to put ad copy doesn’t take advantage of its unique potential. While most copywriting goes in strictly one direction, email is a two-way communication channel. That fact can be lost on business owners. According to Ken, too often we take that two-way channel and treat it strictly as a one-way promotional avenue. The last time I added myself to a business’s email list and received a “thank you” from the owner’s personal email, I was surprised. When I responded to that thank-you email and got an answer back right away, that business went from being a generic brand to a person that I’d be happy to do business with or recommend to friends instantly. The further you can veer away from ad copy towards personal communication in email campaigns, the better. Fits into a bigger strategy. Shows attention to detail (links work, grammar and typos corrected). Provides so much value the reader would want to share it. For Email Broadcast’s own email list, this approach of approaching email as content over ad copy is evident. Ken has a team of writers who plan out the emails and the overarching strategy for them a year in advance. Which brings us to the third mistake. We realize it’s been way too long since we’ve sent an email, stop what we’re doing, and compose and send on the spot. Ken advises his clients to approach email as a content platform, and that requires advanced planning. Subscribers receive a monthly “episode” of an ongoing story that entertains and educates. The concepts are planned a year in advance. They interrupt the story once in July with a promotion for their services plus other added value. As subscribers sign up throughout the year, they receive one episode per week until they’ve caught up to the monthly schedule. All emails that go out are in the can – designed, written, proofread, and scheduled – a month or two before they actually go out. Ken says that designing and planning campaigns well in advance can make a huge difference in your open rates and ROI, and that smart email marketing includes taking full advantage of automation. While automating and scheduling email flows, welcome series, etc. does take time and effort up front, he’s seen it pay off repeatedly. One of the most important things you can do as an online business owner to optimize and improve your email marketing, according to Ken? Schedule time in your work week to do email marketing. Don’t let it be an afterthought. Don’t continue playing catch-up or sending your emails on the fly. The well-planned, researched, carefully designed content that adds value to your customers’ lives and that they’ll welcome in their inbox – that’s the stuff of CTR and ROI legend. That’s the email content that kills so many birds with one stone. It builds your brand reputation, increases your open rates, and increases revenues. It ensures that you’re treating your customers the way you want to be treated. It keeps you top of mind. And it allows you to promote your products (ideally at a ratio of around 80/20 – helpful content/promotion) to a receptive audience who rightly feel like they know and can trust you. Generic email blasts to your entire list without much attempt at personalization – it’s another common mistake for those of us who go the DIY route. If you want to get the maximum value from your list, according to Ken and others, you must segment your list into specific targeted groups. Then send those targeted segments relevant content that’s personalized to their specific circumstances. A cosmetic medicine retailer – segments their list according to gender and sends a tailored welcome email accordingly. A furniture retailer – sends a targeted campaign to a segment of the list who use the retailer’s own private label credit card, and another campaign to a segment of “buy-here-pay-here” customers. In the case of the furniture retailer, a campaign sent to a targeted segment that represented just 7.8% of the retailer’s total list generated an additional $430k in revenue in a single weekend. That’s the power of segmenting your list – the power of personalized email. In some ways, results like that make a great argument for collecting specific details on your subscribers when they opt-in to your list. But Ken warns that you should only ask for information that you will actually use. Asking for too much too soon can seem overly opportunistic, turn away subscribers, and decrease trust in your brand. As I mentioned, email is a two-way channel. Which makes it prime real estate for relationship building. How do you build relationships with subscribers over email? Use an authentic voice, according to Ken. It’s critical to show customers your true self or the true heart and soul of your business rather than a polished overly-formal version. Don’t make the mistake of trying to appeal to everyone. By letting people know who you really are, you’re the most likely to attract the people you want to attract to your business. It’s okay to turn some people off. And, consider the natural pace of a relationship as you plan out your email content. The way you talk to someone you’ve just met will be different than the way you talk to someone who’s been a customer for years. A well-planned welcome sequence for ecommerce, or onboarding sequence for SaaS, can go a long way toward setting the right tone for the relationship and creating the expectation in your subscriber of receiving meaningful and helpful content when they see your brand in their inbox. Grant me the serenity to accept the algorithms I can’t control, the hours in the day to optimize the things I can, and the wisdom to use the platforms I actually control to the fullest. Your email channel is one of those platforms. It may be subject to more regulations now than it was at one time, but it belongs to you. Like any other media platform, it deserves planning and effort and the right ratio of entertaining or useful content to commercials. Give it the time and attention it deserves as an important revenue stream and watch the value of your business increase in direct proportion.